I personally met Juanjo Palacios a few months ago. We had the opportunity to gather in Madrid for a gig organized by our friends of Latimeria (Juan Antonio Nieto and Almudena Villar). I had been chatting on the net with him since I found it’s release as Blezna, released at Alg-a Netlabel. Since always we had in mind a future collaboration and I wanted him to work on a project for Audiotalaia. Finally after a wait that was worth here we have Portuario. The new installment of Juanjo Palacios is a four track EP that combines all the interests of this particular artist. Palacios defines himself as a phonographer and sound artist and he has been involved in many projects regarding Soundscapism. He combines the materials and soundscapes that he captures on field trips with processed drones and ambient textures. Palacios uses soundscapes as textures and elements to transport certain sonorities to specific places. This time, with Portuario, the issue its a Harbour (Musel Harbour in Gijón, North of Spain). The usage of both soundscapes and field recordings provide the release with a bast palette of sound structures that can be heard as abstracted soundscapes, or auditory schematizations of the sound of a shore. Finally and reviewing it’s previous work at GreenField Recordings, we can understand the consistency of Palacios’s work. At Luis Antero Netlabel, Palacios released a Soundscape album based on shore recordings (Borde Litoral), on Audiotalaia this artist releases an abstraction of the shore or the coastline. If on the previous album we had a precise study of the northern coastline of Spain here we have an evocation of the same. All tracks produced and arranged by Juanjo Palacios. 2010. "¿Como conjugar sonidos reales grabados directamente de momentos comunes de la vida diaria, junto con un punto de electrónica experimental, y dar forma a esta unión de tal manera que suponga una línea melódica? en otras palabras, ¿qué se genere una composición musical? Cerremos los ojos, viajemos virtual y musicalmente a la maravillosa ciudad de Gijón que tanto quiero, y tengamos como referencia ambiental el último trabajo de Juanjo, que merecerá la pena." "Audiotalaia are a netlabel that I’ve been meaning to delve deeper into that I have afforded myself time to. Based solely on their releasing of Sven Swift‘s Underwater Is A Place To Be Alone (Mixtape) back in 2008 which is one of my favourite mixes from Sven and indeed of a drone ambiance nature. Portuario is their 1st release for 2011 and their 37th in their catalogue. Juanjo Palacios is not a name I’m familiar with but one who’s production work I am enjoying based on this EP. This is one of those works that bridges the gap between soundscape and ambient. Rozamiento is difficult to describe; a foreboding drone is supported by metallic creaking and splashing water. It’s like drowning a robotic and yet organic conscious being of some description. Atraque is cold, crunchy and at times quite alien. The over arcing synths are, if you let them, quite twisted. Contenedor is an easier listen than the 2 previous tracks. It’s more drone than abstraction, still very cold and metallic to touch. Pantalán finishes the EP off in suitable style. Beginning as a long industrial drone with dark lower tones building into it. Water is a big part of this track and is used in such a way as to imply movement by something through it. The metallic chains make me thing of Charon, the ferryman of Hades who carries souls of the newly deceased across the rivers Styx and Acheron that divided the world of the living from the world of the dead." 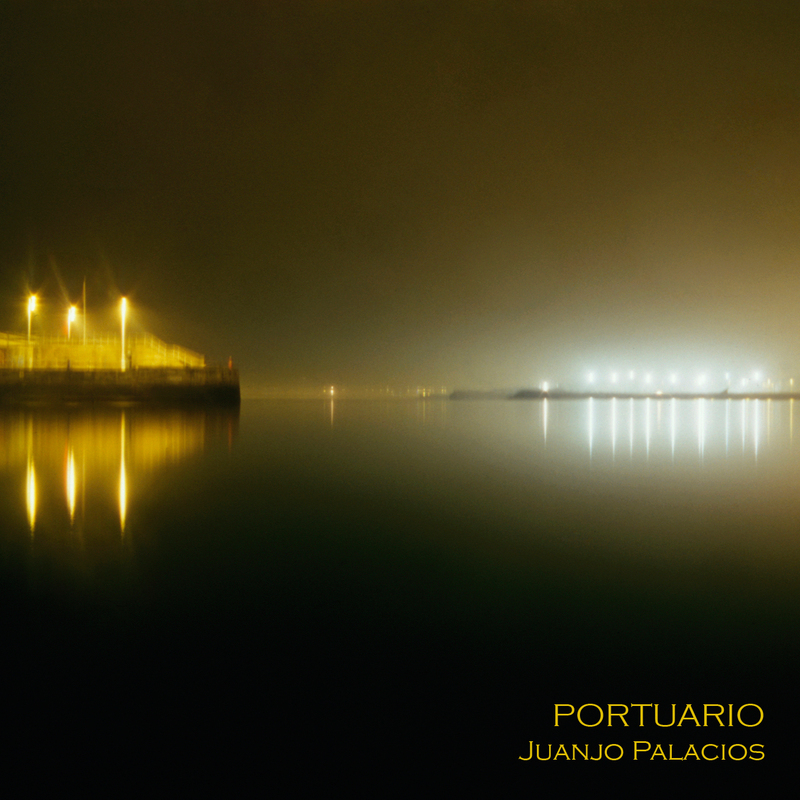 "I definitely have a soft spot for records that are heavily manipulated field recordings with splashes of drones and other electronic sounds, so it was no surprise that Juanjo Palacios’ Portuario (Audiotalaia) was going to be a album I would really like. If you are not familiar with the work of Palacios let me recommend Blezna (alg-a), a study of trees, and Borde Litoral (Green Field Recordings), a strict field recording of the Spanish coast. Portuario, as I mentioned above, is a combination of field recordings and other electronic sounds that orchestrate the listener into another dimension as it’s neither ambient or phonography. Recorded in the Musel Harbor in Gijón, northern Spain, Palacios’ work is an exploration into the melding of nature-made and the man-made, a look into what makes various combination of sounds a music. As the liner notes say, Portuario is an abstraction, but take it one step further and I believe it is an abstraction of what we thought we once knew."